Purchasing souvenir is the best way to keep the lovely memories of your trip with you forever. 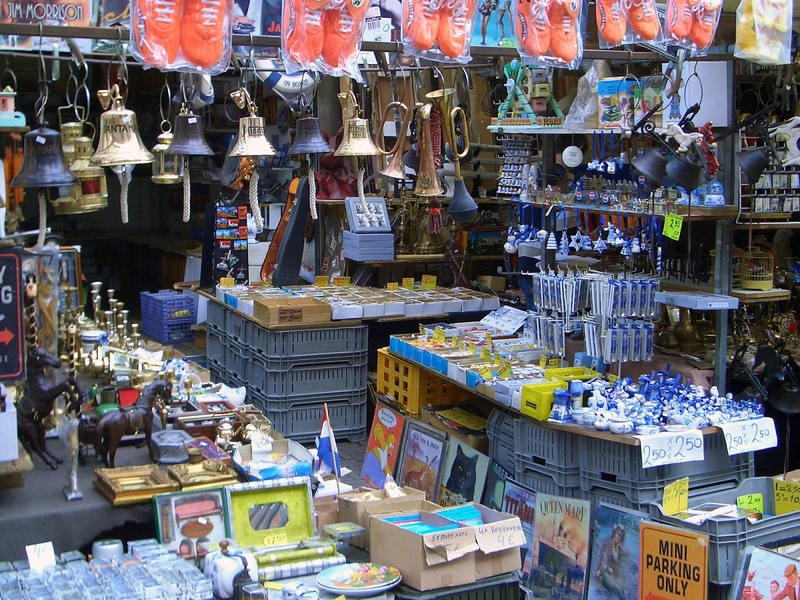 When it comes to sum up Amsterdam’s trip, there are several items to buy among which purchasing food souvenirs is one of the best way to recollect the memories of your Amsterdam tour. The list of notable food souvenirs to buy in Amsterdam that would stay best for even a long flight back home. Renowned for cheese manufacturing, Amsterdam competes with many economic giants in terms of cheese exports. 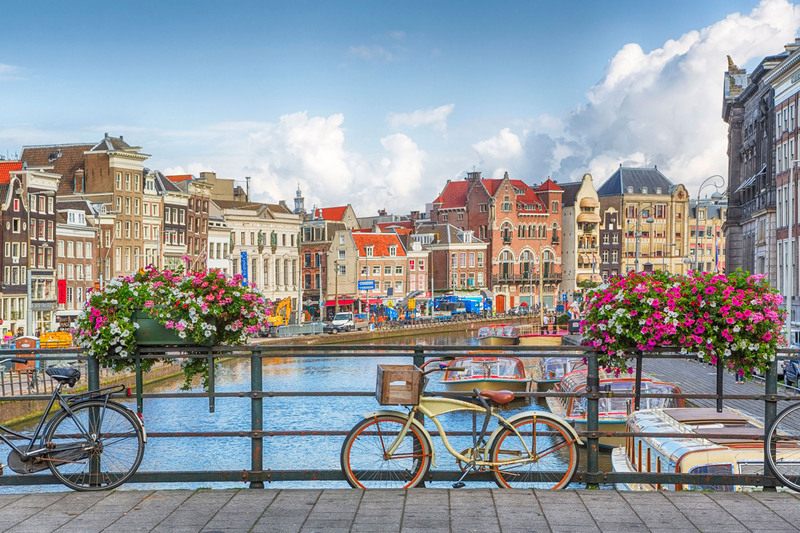 Amsterdam and vicinities are the gateways to find worldwide renowned Dutch cheese. 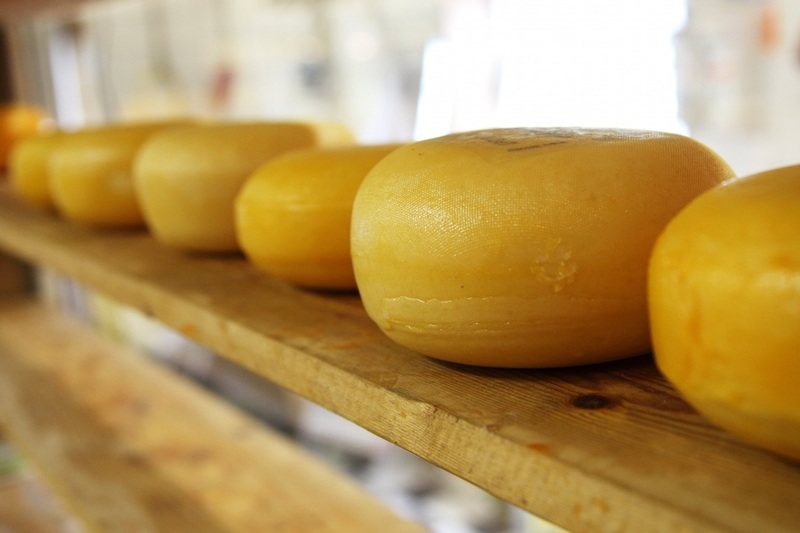 The popular Dutch cheeses to buy include Gouda, Edam, Leyden Cheese, Maasdam, Clove cheese, and much more. 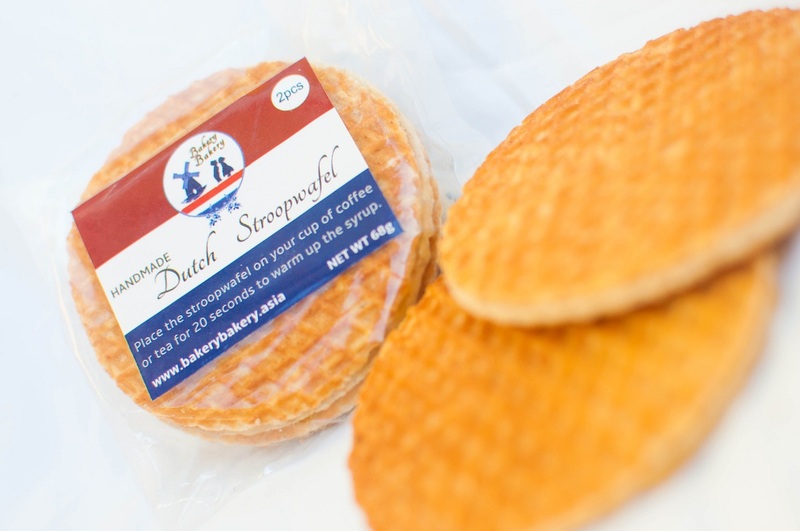 Prepared with two thin waffle-cookie layers filled with tasty syrup, Stroopwafels are an addictive Dutch treat. Albert Cuyp Market is one of the best place to buy freshly prepared Stroopwafels at lowest prices. If you purchase Stroopwafels at the airport or in souvenir retails, you may pay triple the price. Of course, it is one of the most exported products in Amsterdam. Yes, it’s the same Apple Tart or Apple Pie. This has been a quintessential Dutch dessert for centuries. 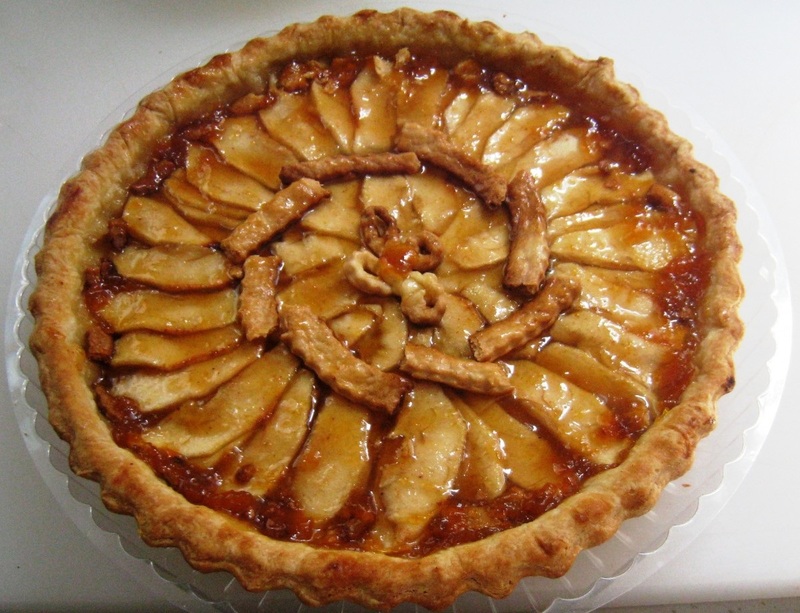 This delicacy is typically prepared from crumbly pastry and contains chunks of sweetened apples. Chock-full of big appletaart is served in countless cafés and restaurants in Amsterdam. It is a great coffee accompaniment. 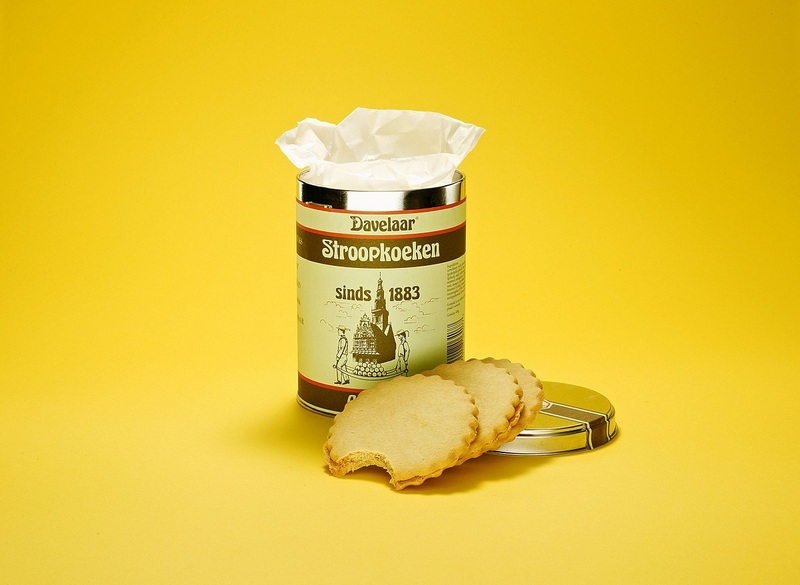 Jodenkoeken is a shortbread cookie which can be found in any grocery store in Amsterdam. And it is an excellent choice to take back home due to its protective packaging. Light brown muscovado sugar, butter, milk, salt, plain flour, and baking powder are the main ingredients of Jodenkoeken. Of course, bringing chocoladeletters from Amsterdam is always a perfect souvenir for you, your friends, and family. 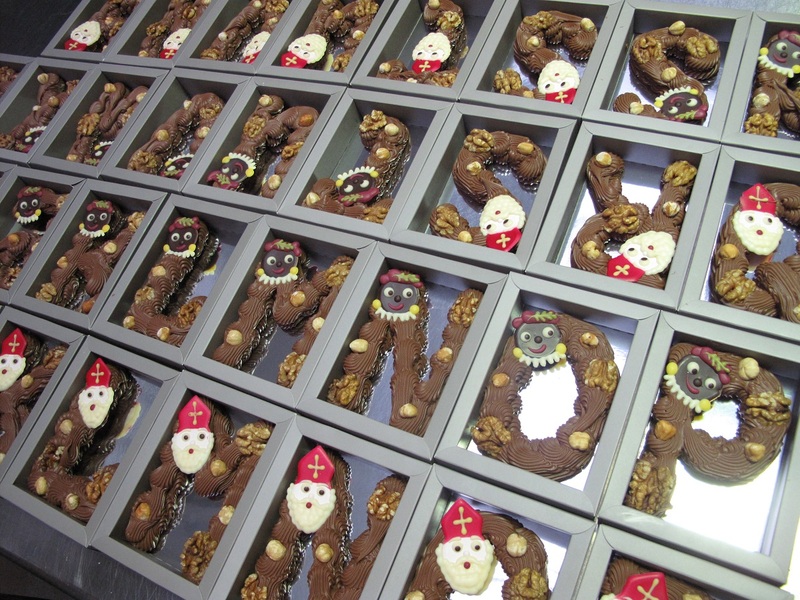 Chocoladeletter is a Dutch candy prepared using chocolate in the form of an alphabet/letter. These are usually available in milk, white, or dark chocolate flavours. You can see clogs and wooden shoes in every souvenir shop. 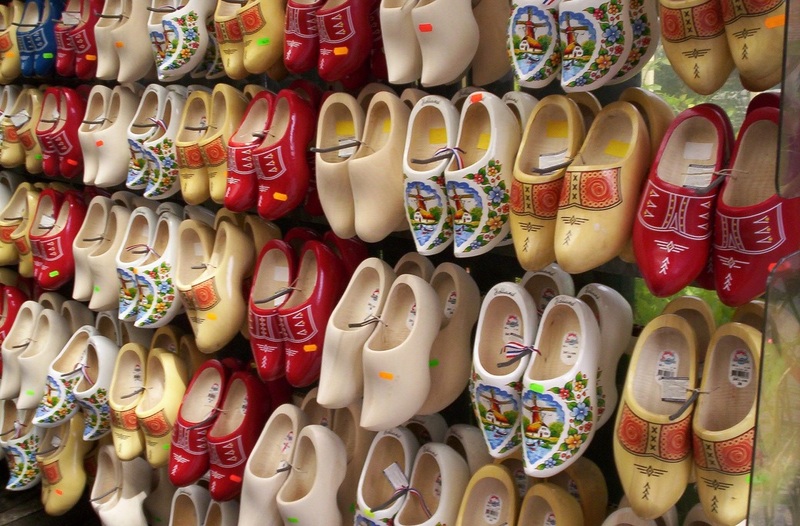 Whether you choose a full-size shoe or small shoe for a keychain, clogs are the best-ever souvenir to buy in Amsterdam. These shoes are originally worn by farmers working in the fields. Even if you don’t use, clogs certainly recall your travel memories. This is a bit of strange souvenir! Jan van Haasteren is a famous artist for puzzles like Where’s Waldo. Many people are delighted to solve these puzzles. Purchasing jigsaw puzzles has become a custom for most of the Amsterdam visitors. Add extra colors to your backyard! 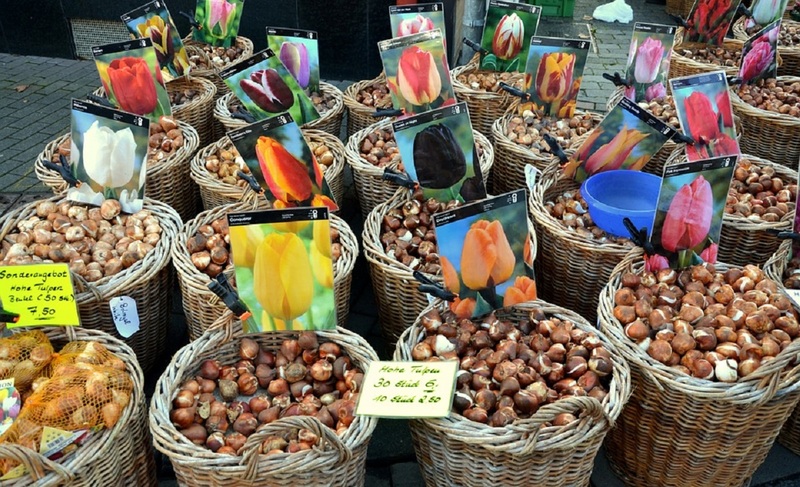 Florists sell tulip bulbs which can be taken to your place and planted. 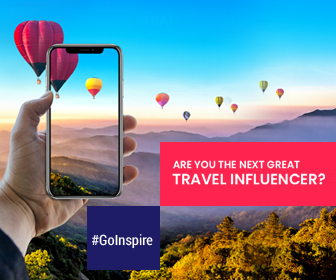 During your trip, never miss exploring Keukenhof – a vast garden that has more than seven million flowers blooming annually. We’re not kidding! The Dutch really have an unusal liking for birthday calendars. If you want to adopt this custom of using themed calendars then you must buy the calendars. You can find all sorts of themed calendars in every souvenir shop, especially near the Dam or Rokin. Multi-tiered canal belt encircled by Dam Square is the highlight of this Dutch city. The historical part of engineering was primarily constructed in the 17th century. Many stores sell the old printed maps of the canal system. HEMA is an iconic Dutch chain store that sells everything from clothing, traditional Dutch food, home ware, a line of books to stationery. The prices are pretty low at HEMA that travelers can pick any Dutch product without straining their wallets. There’s nothing like purchasing unique souvenirs at the flea markets. If you’re a vintage lover then you can find something unique at flea market that nobody else has. Checkout the De Bazaar to purchase special souvenirs. 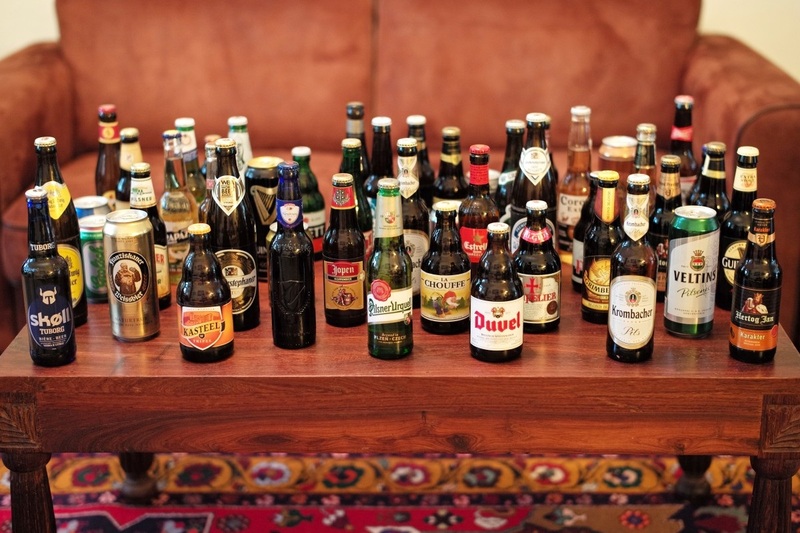 Dutch beverages is undoubtedly a great souvenir. Bring your favorite drinks back with you. Tight the bottle lid while packing your baggage. Collect souvenirs to recollect memories!